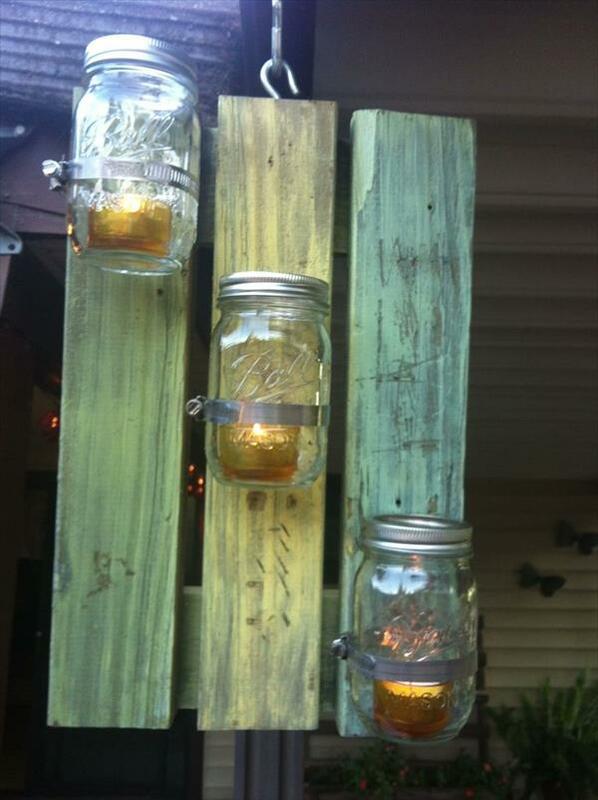 This is another great pallet project. Every one of us likes to have best decor for your house and many of us like to have handmade creative and unique things that not only add beauty to our houses but give us a sense to satisfaction and pleasure that we are doing something for our houses decor being at home. 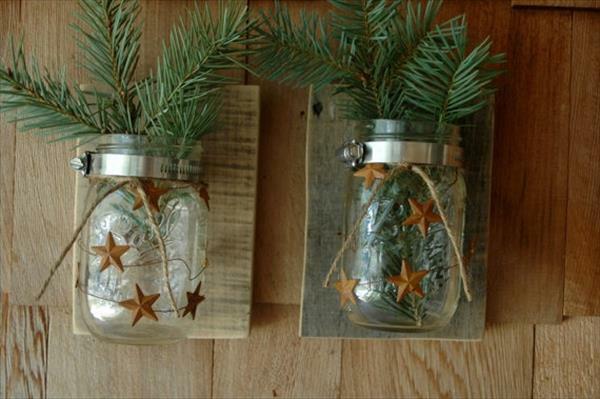 People like me who keep on trying new things always like the unique and inexpensive things and I believe that use of recycled pallet is best for such DIY projects. The general overview about this project is that it is completely handmade. 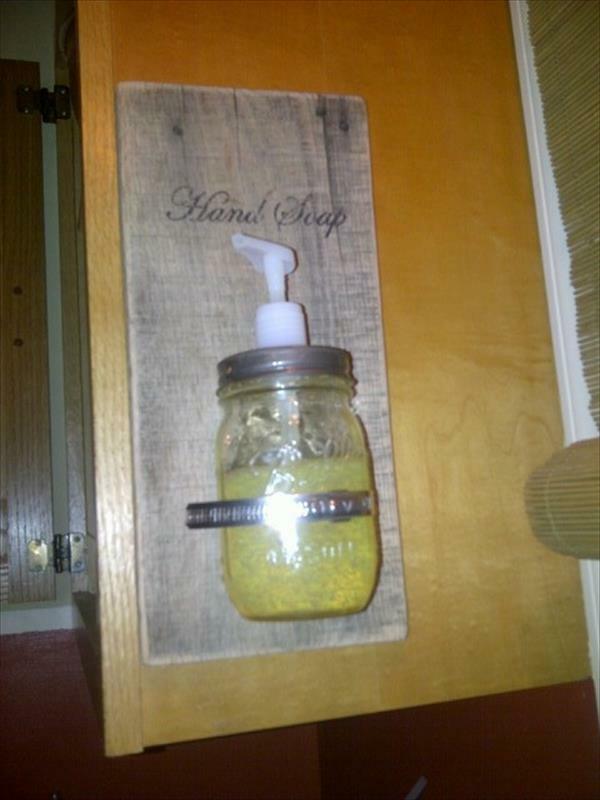 The materials that I have used in making this Mason jar hanging wall are pallets, pallet wood, glass, jars, paint, rusty nails, mason and stain. 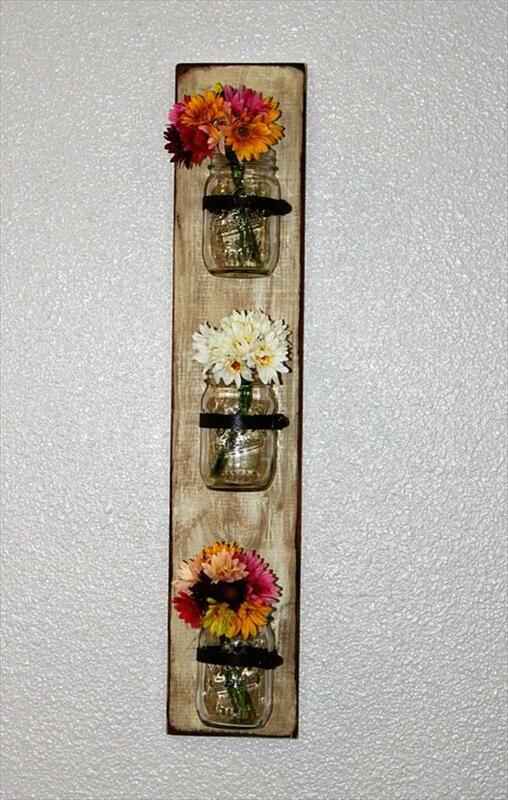 The project looks so perfect and adorable, the pallet wood pieces looks awesome as a wall accent. 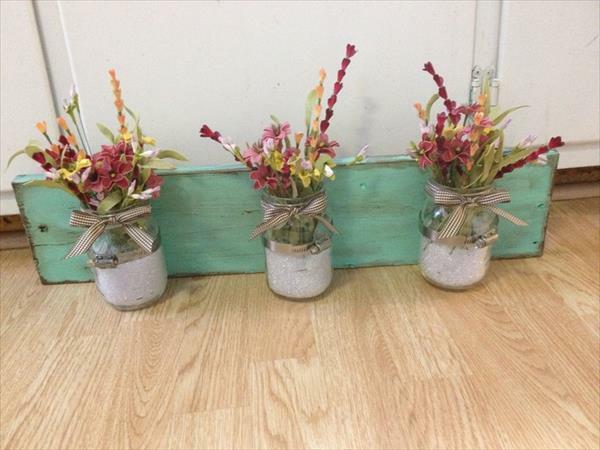 You can use them to hold office supplies, kitchen ware, bathroom essentials, to hold flowers and other various such things. The wood that has been used in the project is sealed and distressed. I didn’t paint it in any bright color but if you want to make it more bright and colorful you can such paint colors.